Over time, we can expect that culture and technology will evolve, and as a result, our professional lives to change. We asked dietitians to share their reflections – their opinions – about what they saw as the most significant change in nutrition knowledge and dietetic practice over the last 10 years. We received 30 submissions, showcasing the breadth of dietetic practice. This is what we heard. Please note that the views and opinions expressed in these submissions are those of the authors and do not reflect the official opinion of the PEN® knowledge database. Thank you to all dietitians who took the time to reflect on this question and share their thoughts and ideas. Be sure to read our PEN® eNews 5(2) where we celebrate the PEN® knowledge database supporting dietetic practice for 10 years. As part of looking back, we highlight what PEN® looked like 10 years ago compared to today in Technological Advances in PEN® over the last 10 years. We also note trends in nutrition articles published in Publishing Trends over 10 Years. We highlight a new feature in PEN®: adding in customized notes to PEN® client handouts. We also give a preview of what is in our future in A Face-lift for the PEN® Client Handout Template: Highlights from a Recent Survey and Investigating a PEN® App. Finally, our director, Dr Jayne Thirsk shares her thoughts on the challenges for dietitians and evidence-based practice and highlights future opportunities for dietitians in PEN@10 Years: Past, Present Challenges and Future Opportunities for Dietitians. 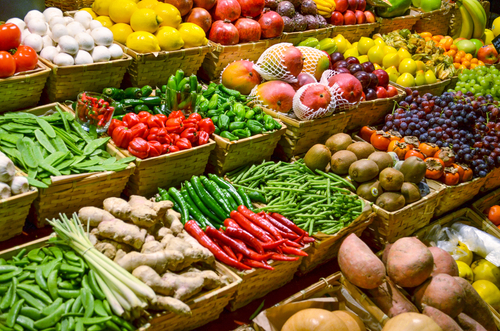 An increasing body of research over the past decade is changing our view of vegetarian diets and their contribution to health and disease risk. Onceconsidered an extreme way of eating, with the potential for nutritional deficiencies, it is now accepted that a well-planned vegetarian or vegan diet can meet nutritional needs at all ages and stages of life (1,2). 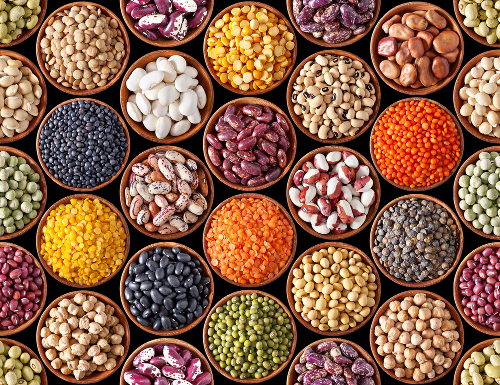 Furthermore, there is an increasing body of evidence to show that plant-based diets have significant health benefits, reducing the risk of many chronic diseases, including cardiovascular disease, type 2 diabetes and some types of cancer (3). High intakes of red meat and animal protein, on the other hand, are associated with increased chronic disease risk and all-cause mortality (3-5). 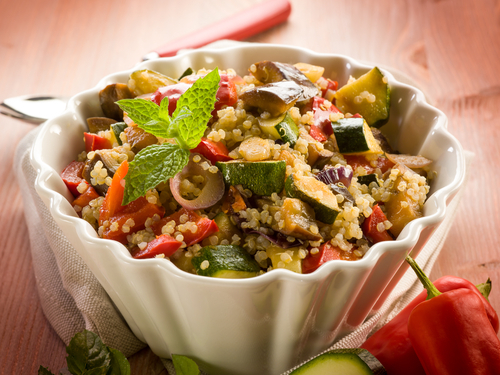 With an increasing number of people adopting plant-based diets due to health, ethical and environmental reasons, but also the increasing popularity of hunter-gatherer ‘Paleo’ style diets, this is an important area of nutrition for dietitians to be aware of, in order to provide evidence-based advice to our clients to optimise their long-term health. 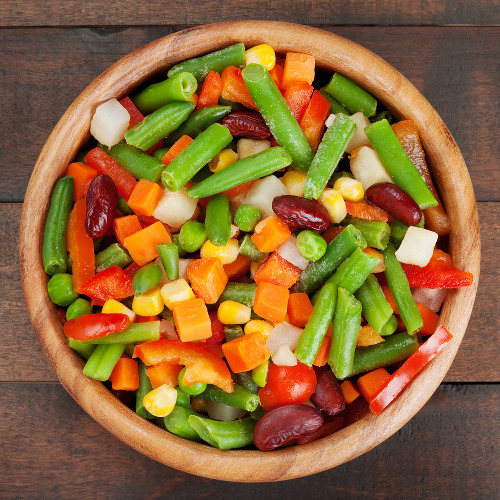 PEN® eNews Editor’s Note: Need client resources on vegetarian diets? We have over 50 resources to support your practice! Have questions about the Paleo diet? Have a look at Evidence Clip: The Popular Paleo Diet and Does a Paleolithic diet improve satiety compared to other diet types? Sport nutrition has evolved far beyond carbohydrate, protein and hydration for exercise. Not too long ago, a high carbohydrate was prescribed across the board for many athletes. Now much more targeted, periodized nutrition, is at the forefront of practice and high performance sport dietitians have become an integral part of a sport science team. The integration of nutrition planning into a yearly training plan (YTP) involves altering macronutrients to match training demands, adaptations, periodize body composition and incorporate supplements (e.g. beta alanine, creatine) with a targeted approach (1). A periodized nutrition plan changes in accordance with the type, amount and goals of an athlete’s YTP. There are 4 main phases of a YTP: general prep, specific prep, competition and transition. Each phase demands different energy and nutrients comparatively and also within the phase. For example, carbohydrate demands during the higher volume general prep phase may be 8-12 g/kg/day (1) but during taper/competition 7-10 g/kg/day (1). Protein would also change from 1.5-1.7 g/kg/day (1) in the specific prep phase to 0.8-1.2 g/kg/day (1) in the transition phase (2). I have found that each of the 4 phases also incorporates macro, meso and micro periods, which range from longer periods (macro) of a few months to a very short, targeted periods of a few days (micro). Macro period nutrition during the general prep phase would target fueling to match energy output, maintaining immune heath with high training loads and developing solid nutrition practices. The macro nutrition target would change during the competition phase to focus on tightening up portion control to achieve performance body composition. A meso or micro phase could include an altitude-training block where nutrition would be customized to maximize physiological adaptations. Supplements are layered in at the very end and integrated with a targeted and strategic approach. Sport nutrition is a rapidly evolving science and practitioners must continue to stay on top of evidence-based research to remain ahead of the curve. PEN® eNews Editors note: The Sports Nutrition Pathway in PEN® is currently being updated. Look for the updated pathway in 2016. 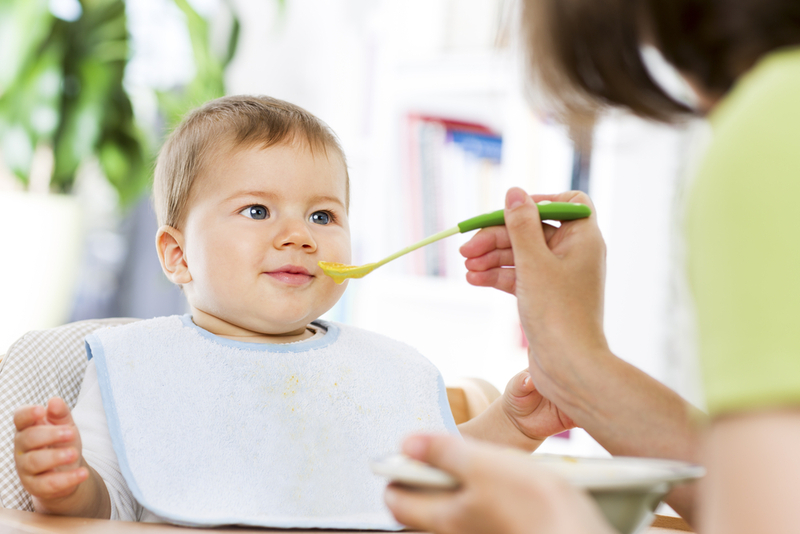 A significant change in practice has been the recommendations given for introducing solids to infants. Years ago, in Canada, there were more “rules” around order of foods to be introduced and the progression of textures. Infant cereals were first, followed by vegetables (we didn’t want to give fruit in case the baby rejected vegetables), then fruit and meat. Textures were always purees with a slow introduction of other textures. With the delay of introducing complementary foods until 6 months, feeding children has now changed with an emphasis on providing iron rich sources of foods first, including meat, followed by a variety (not specified) of foods. First textures can include other soft foods in addition to purees (1). New moms need to know that advice given by the grandparents may no longer be the best for their child. PEN® eNews Editor’s Note: Wondering what nutrition guidelines for infants and children look like around the world? Have a look at our International Infant and Child Guidelines Collection. The United Nations Millennium Development Goal target for 2015 of halving the number of people in the world who have chronic hunger has been met. Yet undernourishment still affects at least 795 million people worldwide (1), with about four million from Canada as measured in 2012 (2). While there has been a significant change over the years in how household food insecurity (HHFS) data is collected and analyzed, food banks continue to grow in numbers and Canada still lacks social policies that ensure adequate household income for food (2). 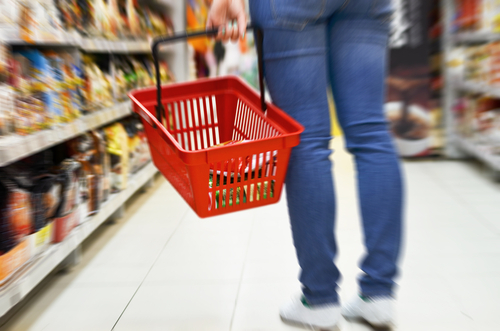 Measurement of food insecurity has improved with the Household Food Security Survey Module as part of the Canadian Community Health Survey (CCHS) since 2004. The survey explores HHFS and nutrient intakes and assesses marginal (worried), moderate (compromise in quality and/or quality) and severe (reduce food intake) levels of food insecurity among adults and/or children across Canada (3). From data collected we recognize that food insecurity affects people's lives, is related to poverty, has health implications and continues to be a concern. Specifically, we know that food insecurity affects both children and adults; income and its source are important factors; and single mothers, not owning a home, and Aboriginal groups tend to be more likely to be food insecure (2). Continued data collection, with 2015 seeing a return to Nutrition as the focused topic in the CCHS (4), will provide further clarity of the problems of food insecurity. Just being employed does not necessarily mean freedom from food insecurity. Help is needed to identify future research to assess effectiveness of current initiatives and programs so we can better target advocacy, policy and health efforts to effectively make a difference in individual’s lives. More children are now being diagnosed with ASDs than with cancers, diabetes and Down’s syndrome combined, and prevalence is thought to be rising (1). Research has shown that children with ASDs have significantly more feeding problems than children without autism leading to imbalanced diets and serious micronutrient deficiencies – recent case reports include children with ASDs suffering permanent vision loss as a result of deficiencies as well as other serious but reversible deficiencies such as scurvy (2). Other common eating problems in ASDs are pica, compulsive over-eating, constipation, diarrhoea and other gastrointestinal problems (3). Autism awareness should be part of the core training curricula for doctors, nurses and other clinicians (4). There is a need for specialist autism training for dietitians covering the different dietary and nutritional problems that affect individuals with ASDs, emphasising the need to try to imagine the world through an individual with ASD’s eyes to understand the underlying issues and offer useful support. To support dietary change, dietitians require knowledge of the multi-facetted challenges faced by individuals on the autistic spectrum and what communication and education techniques are best used to enable lifestyle change. Schreck KA, Williams K, Smith A (2004). 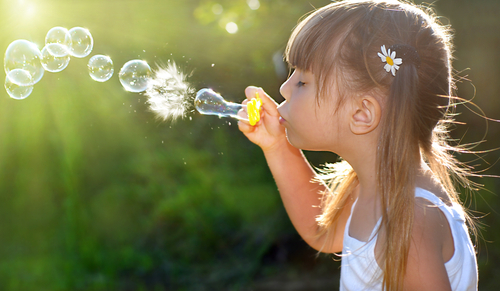 A comparison of eating behaviors between children with and without autism. J Autism Dev Disord; 2004; 34: 433-38. Abstract not available. 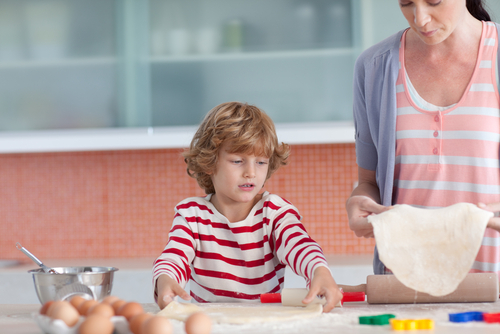 PEN® eNews Editor’s Note: Have a look at our Eating Guidelines and Feeding Tips for children with Autism Spectrum Disorder and watch for an updated PEN® knowledge pathway in 2016. Around 20% of the general population suffer from irritable bowel syndrome (IBS) with symptoms including: alternating diarrhoea/constipation, abdominal pain, wind and bloating. Until about eight years ago dietitians were unsure what dietary advice we should give. High fibre? Low fibre? Low fat? Less caffeine? No spicey foods? Avoid alcohol? Sometimes the advice seemed to help and sometimes it made people’s symptoms worse. Disturbingly, and possibly because our advice was ineffective, people with IBS became labelled as “over-reacting”, “attention seeking” or considered “plain mad”. Meanwhile, Sue Shepherd a Melbourne dietitian began to take particular interest in this subject and what her clients with IBS were eating. Sue’s probing of their diets led her to the hypothesis that particular carbohydrates in food are poorly absorbed. In particular, fermentable oligosaccharides, disaccharides, monosaccharides and polyols (FODMAPs). Sue undertook a PhD to investigate the hypothesis that these carbohydrates, which can be poorly absorbed, were contributing to the symptoms of IBS. The methodology she used to determine this was a double-blinded, randomized, quadruple arm, placebo-controlled re-challenge trial (1). Her research proved her hypothesis to be a promising approach in IBS and eventually resulted in what is now known as the low FODMAP diet. Today the diet is internationally recognised as a promising diet strategy for up to 80% of people suffering from IBS. We now have a diet that has undergone clinical evaluation that has the potential to improve the quality of life of people with IBS worldwide. PEN® eNews Editor’s Note: PEN® has completed an evidence synthesis in the area of low FODMAP diets. This work has recently been added to the PEN® database: Gastrointestinal System – Irritable Bowel Syndrome: FODMAP. Carbohydrate foods have always been considered the main factor affecting blood glucose levels and carbohydrate counting the key to managing blood glucose levels and insulin adjustment in type 1 diabetes. However there is an increasing body of evidence showing that the fat and protein in meals, particularly when consumed in larger quantities, influence blood glucose levels and insulin requirements. A recent systematic review published in Diabetes Care (1) suggests that high-fat/protein meals require more insulin than lower-fat/protein meals with identical carbohydrate content. This may explain why some individuals continue to experience fluctuations in blood glucose levels despite accurate carbohydrate counting, and adds further complexity to the management of type 1 diabetes. As yet there are no clear guidelines on insulin adjustment for fat and protein, and this appears to vary according to the individual. 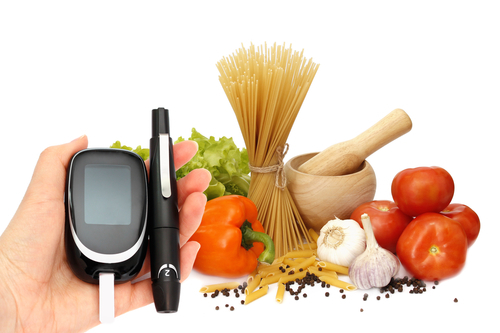 However, knowledge of these findings further highlights the important role of the dietitian in the management of type 1 diabetes, and the need to work closely with the individual with diabetes, looking at their overall diet in order to optimise glycemic control. PEN® eNews Editor’s Note: Working in the area of Diabetes? We have 50 professional resources and over 40 consumer resources in PEN® on Type 1 Diabetes. One of the most significant changes to nutrition knowledge in the area of nutrition that I work in has been the impact of vitamin D3 (cholecalciferol) supplementation in patients with chronic kidney disease (CKD), both on and not yet on dialysis. 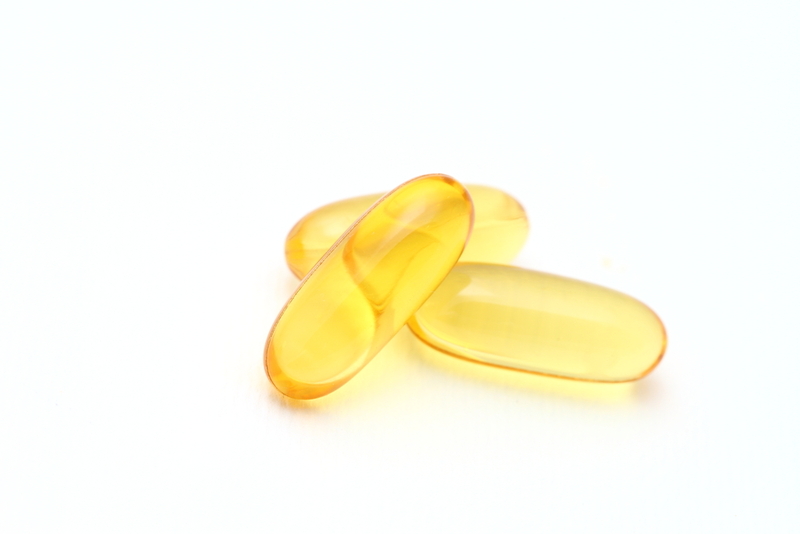 When I began my career in renal dietetics more than a decade ago, vitamin D3 supplementation was generally discouraged. In fact, it was one of the arguments we used to recommend a renal multivitamin, because general multivitamins had the “wrong” form of vitamin D that patients with kidney disease could not use. However, it has taken some time for the renal community to recognize that vitamin D receptors do not only reside in the kidneys, but that vitamin D receptors are located in many other parts of the body. This indicates that patients with CKD may still respond to vitamin D3 supplementation, even if they are in the very late stages of the disease. Furthermore, the implications of 25(OH)vitamin D deficiency in patients with CKD indicate a possible role in the development of vascular disease, as well as an impact on proteinuria (1), which both in turn may have implications on mortality in later stages of CKD, including dialysis, as well for patients that receive a renal transplant. More research is needed in these aspects of care of renal patients, but show some promise (2) and have certainly taken “traditional” recommendations of health care providers with regards to vitamin D3 therapy on a different path. Given that CKD is estimated to affect approximately 3 million Canadians (3), vitamin D3 therapy in this population may have broad reaching implications. And given the prominent role of the dietitian both in the care of renal patients, and nutritional therapy including vitamin D3, dietitians have a new and emerging area of expertise. PEN® eNews Editor’s Note: Need quick access to bottom-line evidence around chronic kidney disease? Have a look at this Evidence Summary: Nephrology – Chronic Kidney Disease: Dialysis (Adult) Evidence Summary. I’ve been surprised twice since PEN® released its Gout Evidence Summaries (both in 2013 and the updated 2015 version). First, the updated PEN® handout “Healthy Eating Guidelines for People with Gout” along with the new knowledge I gained by reading the Evidence Summary pleasantly surprised me. As with GERD (see Gail Scarlett’s surprise), previous recommendations for dietary management of gout were based on expert opinion rather thanevidence. 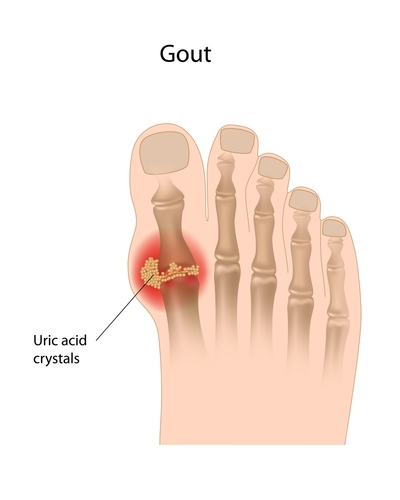 Observational studies demonstrate that high intakes of seafood and meat are associated with hyperuricemia and increased risk of gout, but we are lacking clinical trials exhibiting successful control of gout attacks with low purine diets. There is no proven link between plant sources of purines and elevated uric acid levels or gout. The translation to a diet of inclusion, in limited quantities, of red meat and fish with of course an emphasis on plant-based foods, some low fat dairy plus optimal hydration levels, would make life easier for my clients confused by seemingly counter-intuitive recommendations such as avoiding oatmeal, asparagus, and lentils (particularly for clients with comorbidities). Achieving or maintaining a healthy body weight is another evidence-based goal, along with limiting alcohol (especially beer) and sugar-sweetened beverages. My second surprise was not so pleasant. Happily focusing on ‘how to include a variety of foods that you enjoy in a nutritious diet’ when counseling clients with gout and often other comorbidities versus ‘how to live without foods you love’ I was surprised by the resistance I encountered. Despite being armed with evidence (thanks to PEN®), it was difficult for both my health care team colleagues and some clients to break free from the old-school concept of the ‘Foods to Avoid’ list. Change is hard and complicated and as nutrition guidelines fluctuate, I wonder if my credibility with clients and non-dietitian colleagues is being tested. Dietitians of Canada. Gout Evidence Summary. In: Practice-based Evidence in Nutrition [PEN®]. 2015 August 18 [cited 2015 June 25 ]. Available from: http://www.pennutrition.com/KnowledgePathway.aspx?kpid=1956&trid=3247&trcatid=42 Access only by subscription or sign up for a free two week trial. PEN® eNews Editor’s Note: Wondering what evidence in new in gout management? Have a look at our updated PEN® content on gout. Search PEN® using the term gout to access this gout practice guidance. 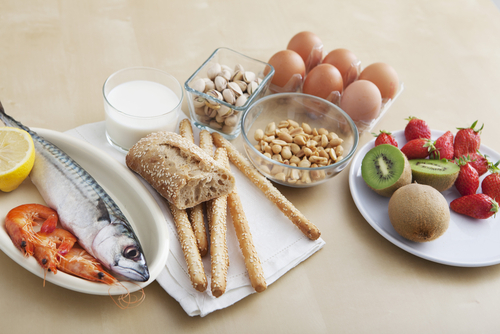 Preventing and treating food allergies has undergone important changes in the last decade or so. Previously, clinical practice guidelines (UK and North America) recommended that in families at high risk for developing peanut allergies, women who were pregnant or breastfeeding should also avoid peanut containing foods to reduce the risk of developing IgE mediated food allergy in their offspring. With more research it was determined that maternal avoidance of allergens likely doesn’t result in decreased incidence of hypersensitivity in infants. Now we are exploring whether early exposure to food allergens may in fact prevent food allergies, with authorities such as European Food Safety Agency recognising that postponing the introduction of complementary feeding including allergens may be detrimental to the longer term health of the infant; although up until now the research was open to criticism. The LEAP study is the first RCT that provides some evidence that the early introduction of peanuts in infants at high risk to develop peanut allergies may actually reduce the prevalence of peanut allergies. While it is too early to extrapolate these findings to other populations just yet, this does illustrate how our practice evolves in the face of new evidence. Evidence-based food allergy prevention and management is an important area for dietitians to enhance their competency in. PEN® eNews Editor’s note: Did you see our Trending Topic Article Analysis on this study? Click here to read. We also have updated practice guidance on Food Allergies – High Risk Infant Evidence Summary and Food Allergies – Oral Allergy Syndrome: Pollen-food Syndrome Knowledge Pathway. Over the past 10 years, the most significant change for clinical dietetic practice has been the mobilization of the major health and broader government organizations worldwide around addressing the complexities of the obesity issue. In 2005, RDs were deeply conflicted about their obesity treatment work (1-3). More broadly, societal attitudes still regarded obesity as an individual “problem” to be solved with self-discipline. Numerous products promised unrealistic results and dieting was common (4). There is now increasing acceptance that this is a community problem requiring coordinated multiple actions at different levels (5). The shift started in the mid 2000s when Dr. W.P. James and the International Obesity Task Force called for worldwide recognition of the impending epidemic (5). In 2006, Arya Sharma founded the Canadian Obesity Network and a community of practice began to develop in Canada (personal communication). By 2012, for the first time in world history there were more obese than under-nourished people in the world (6). Over the past 10 years, we have gone from being overwhelmed as a profession by this problem, to beginning to take action with other disciplines and sectors (7,8) . We have a long way to go, but this is no longer a diet issue; it’s a national issue. There are multiple opportunities emerging for RDs to contribute to “bending the curve”. We are well positioned to work with diverse groups to design new approaches, including “nudging” consumers toward better food habits and working with an agri-food sector that needs to adapt. PEN® eNews Editor’s Note: We have almost 500 resources to support your dietetic practice. 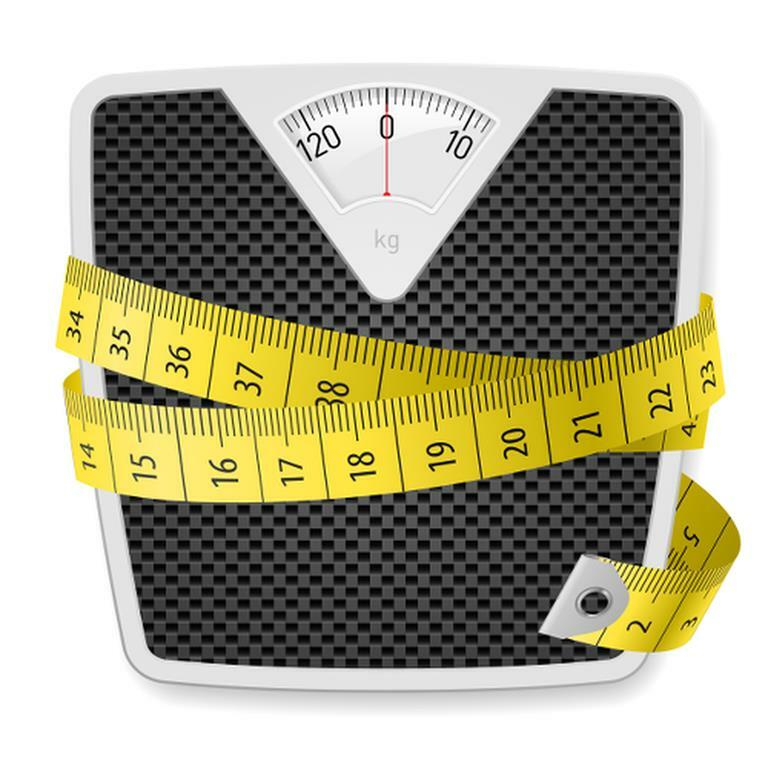 Have a look at our International Healthy Weights/Obesity Guideline Collection. “Anyone with a low iron status should be encouraged to consume ascorbic acid (vitamin C) with any meal containing non-haem iron. This reduces ferric iron to the ferrous form which is more easily absorbed.” Pretty much all dietitians learned this during their training and it became a common public health and individual advice. It was based on experimental trials (in the lab), which did indicate that adding ascorbic acid to single meals increased non-haem iron absorption. Outside of the lab, however, studies demonstrated that degradation of ascorbic acid due to time, temperature and oxygen exposure may reduce the actual impact of the orange juice on non-haem iron absorption and there are other factors in the meal, the diet or the individual which impact on iron absorption and iron status. The evidence as to whether increasing iron absorption in this way increases serum markers of iron status is mixed, mostly carried out with premenopausal women and the balance of current evidence is that there is little or no correlation between ascorbic acid intake (through citrus juice, vegetables or fruit) and iron status. The body’s need for iron is the major determinant of iron absorption and the public health message is to consume a variety of iron containing foods. Individuals at risk of anaemia should be assessed and treated as necessary. This information calls on dietitians to challenge the assumed evidence base behind common dietetic practices and to practice evidence based dietetics by assessing the individual and the evidence before making recommendations. Over the past decade, medical researchers have added to the body of literature aimed at finding out if people with CD could tolerate oats if the WBR wereabsent. In 2007 Health Canada did a thorough review of the literature (2) and their bottom line, similar to the 2005 position of the Canadian Celiac Association, was that the majority of people with celiac disease could safely consume a moderate amount (adults: 50-70g / day and children: 20-25g / day) of pure oats. It was recognized that there were still some people with CD, 4-5%, who could not tolerate even pure oats. Why this is, is still not clear, but is believed to be related to some not tolerating a common link in the protein structure of the gliadin (wheat storage protein) and avenin (oat storage protein). Currently research is being conducted looking more closely at the protein structure of oats with the hopes of identifying the issue why some people with celiac disease do not tolerate even pure oats (3). In the next decade we may even see certain cultivars / varieties of oats are bettered tolerated by people with celiac disease (4). Once it was established that by following a purity protocol (5) pure oats could be produced for the market, the next hurdle was labelling them. In Canada, they could not be labelled as being “gluten-free”. Health Canada had an established regulation: Section B.24.018 of the Canadian Food and Drug Regulations (6) and until this regulation could be changed no product that contained any oats whatsoever, no matter how low the gluten content, could be labelled as “gluten-free” in Canada. In the meantime, Health Canada agreed that oat products with less than 20 parts per million of gluten could be labelled as “wheat, barley and rye free” and placed in the gluten-free section of food stores. 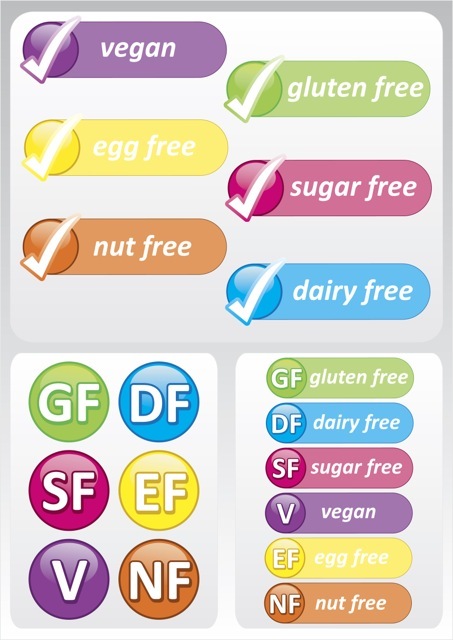 This made it confusing for the consumer who was being told they could have pure oats but they weren’t labelled “gluten-free” and it made it challenging for the dietitian to provide clear guidelines for their clients on a GFD. While the past decade has seen no official change in allowing oats in the GFD in Australia they are allowed in the rest of the world so the majority of people with CD now have a familiar whole-grain product to add to their GFD. Recently Health Canada has approved that oats specially produced, following the established purity protocol (5), for the gluten-free market can now be called gluten-free (7). While the regulations preventing them from being called gluten-free a decade ago have not been changed, a Marketing Authorization now permits the use of the gluten-free claim making it clear for the Canadian consumer with celiac disease which products containing oats they can consume. There are still the issues of why some people with CD do not tolerate gluten-free oats, the possibility that certain varieties of oats may be better tolerated by people with CD and is there a way to identify those who don’t tolerate them – but these are for solving in the next decade! Dietitians of Canada. Celiac/Coeliac Disease Background. In: Practice-based Evidence in Nutrition [PEN]. 2013 Nov 29. [cited 2015 Jul 27]. Available from: http://www.pennutrition.com. Access only by subscription. Written by Beth Armour, P.Dt, M.Ed. 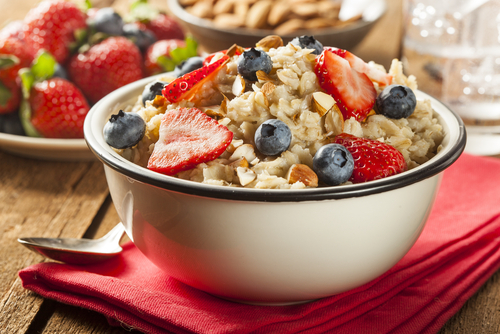 PEN® eNews Editor’s Note: Have a look at the International Celiac Association Statements on the Safety of Oats and the International Celiac/Coeliac Association Statements on the Safety of Oats. We received several submissions reflecting on how electronic access to high quality information has enhanced dietetic practice. In the last decade, our dietetic practice has drastically changed; particularly in the areas of Internet, innovation and technology. Just over 10 years ago, our primary reference in dietetic practice was a well-known paper copy called the "Manual of Clinical Dietetics" that sat up on our shelves. Fast forward 10 years and we are now able to access the most up-to-date information, guidelines, recommendations and patient tools in a matter of seconds using online PEN site. Gone are the days when you needed to photocopy journal articles in the library. Technology has also brought us all closer together, as we are now able to communicate quickly and efficiently with our colleagues near and far. Our patients have also become more knowledgeable and more informed, but not always with the correct information they gather from the Internet. Our visibility online as Registered Dietitians who, as professionals, can provide patients and their families with most accurate information, has become of significant importance. The development of the Kidney Community Kitchen is one of the great ways the renal community has provided patients and their caregivers a reliable and easy to use site. 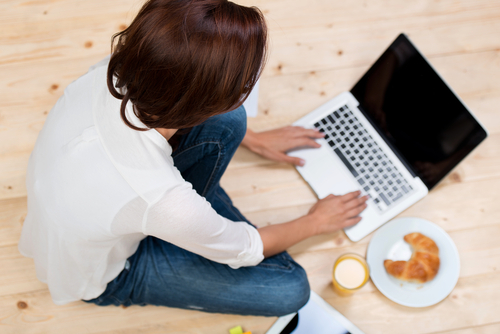 This site allows fast access to renal recipes, kidney diet information and online tools to plan and track your meals, as well as offer discussion areas where people living with kidney disease can connect. Depuis 10 ans, le virage technologique est ce qui soutient le plus ma pratique de la diététique. La normalisation des façons de procéder, le partage de l’information grâce à PEN®, la visibilité de la profession des diététistes grâce à l’Ordre des diététistes sont des facteurs qui ont ajouté de la crédibilité à la profession. Les diététistes gagnent du terrain dans les médias, l’utilisation du lobby auprès des politiciens et du gouvernement sont de nouvelles stratégies pour diffuser et influencer au sujet de la saine alimentation. En tant que diététistes, nous avons dépassé le cadre clinique et déversons dans toutes les sphères de l’activité quotidienne. Même s’il y a de plus en plus de messages prometteurs d’un changement instantané au niveau de la santé, les Diététistes du Canada nous offrent des outils pour demeurer à la fine pointe afin de nous soutenir pour prendre position contre la pensée magique. La technologie nous permet d’être réseautés aux collègues. Les opportunités de formation sont nombreuses et utilisent des médias varies, tels que les conférences, les balado-diffusions, cours en ligne pour se tenir au fait de la nutrition et de la diététique. Le Canada est devenu chef de file sur la scène internationale grâce au virage technologique entrepris par Diététiste du Canada. Tout ceci fait en sorte que je peux offrir un meilleur service à la clientèle. In the past 10 years the change in technology is what has most affected my practice. 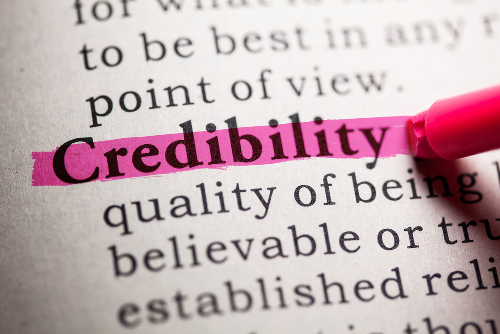 Standardized ways of doing things, sharing of knowledge thanks to PEN®, visibility of the profession thanks to dietetic organizations, all are factors adding to the credibility of dietitians. Dietitians have gained ground with the media, lobbying government and politicians are new strategies to spread the word and to influence healthy eating. As dietitians we have gone beyond clinical practice and diversified into other spheres of daily activity. Even though there are more messages promising instant changes in terms of health, Dietitians of Canada offers us tools to help us remain at the forefront and to take positions against miracle claims. Technology permits us to network with colleagues. Educational (Continuing education) opportunities are many and use different media... conferences, podcasts, online courses, all of them keeping us up to date in nutrition and dietetics. Canada has become an international leader thanks to a shift in technology by Dietitians of Canada. All of this allows me to give a better service to my clients. For dietitians working in continuing care the most significant change in our practice in the past decade has been how the easy access to high quality information has strengthened our evidence-based practice ensuring our value as important members of the interdisciplinary care team. As we are often sole practitioners, we work without the benefit of colleagues to consult when encountering an unfamiliar practice issue or mentoring dietetic interns. Ten years ago, when faced with one of these scenarios we would consult a bulky diet manual or go to the library to do a literature search. Then we would read and synthesize all our search results, revise our policies and procedures and finally develop an in-service to instruct staff – spending days, even weeks, to change a practice. Our increasing scope of practice and reduced funding are challenges that have further impacted our ability to remain current in the ever-growing field of geriatric nutrition. Today we consult PEN®, do a quick review of the evidence in the Knowledge Pathway and practice questions and then locate the PEN® Toolkit. From the Toolkit we have access to additional information and resources for use with foodservices staff. What once required days or even weeks, now takes an hour or less. Though care needs of our continuing care residents continue to increase, as dietitians we are confident in our ability to evolve our practice and be good mentors to dietetic interns with the support and efficiency that PEN® offers us. In my work, when I am required to advise on any food or nutrition topic whether helping a member of the public or for media work or a letter to governmentor decision-maker, I always check PEN® first to ensure that my knowledge is up-to-date and my comments are evidence-based. PEN® enables me to be more effective and confident in my advice. Submission by Karen Boyd MSc, RD. Access to credible nutrition information has changed my oncology practice! As an oncology dietitian, helping cancer patients meet their unique nutrition needs while undergoing cancer treatment and recovery is both rewarding and challenging. One of the biggest changes I have witnessed in my practice over the past ten years is that patients are exposed to more nutrition misinformation than ever before through the internet, and their highly influential social networks. I am frequently asked by patients to help them sort nutrition facts from fiction regarding special diet regimens or supplements they have read or been told about. A cancer patient’s nutrition is one of the most important things they can take charge of to help themselves during their cancer treatment and recovery, so it is important that they have evidence-based, safe, and easy to understand recommendations to follow. Prior to the launch of PEN®, it was often challenging to find easy to understand, evidence-based nutrition information and recommendations for patients. The PEN® handout series has grown over the years and has become my ‘go to’ nutrition education resource for patients. The information is clearly presented and referenced, easy to use as a teaching tool, and easy for patients to understand. The handouts provide information on a wide range of topics from general nutrition information for cancer patients, to specific recommendations on topics like vitamin and mineral requirements. Using PEN® handouts to educate patients has been the biggest change in my practice over the past 10 years. Thank you PEN® for this great resource! PEN® eNews Editor’s note: We have practice guidance and client resources for preventing and managing various cancers. Sign up for content alerts on the different cancer knowledge pathways to receive updated content in this area. Consumers have better access to information – paging Dr Google! We received several insights from dietitians about the increase in the public’s access to nutrition information via “Dr Google”. The most significant change in dietetic practice over the past 10 years is the abundance of nutrition information, easily accessible on the Internet, from a huge variety of reliable and unreliable sources. This has led to conflicting nutrition messages, mass public confusion and frustration, and contradictory stories in the media. A large percentage of the public (as well as other health professionals) are unaware of the differences in training between registered dietitians and others working in nutrition. We need to work collaboratively with other nutrition professionals to some extent, but we also need to ensure that the public knows the immense value of a dietitian’s extensive training and expertise. The abundance of nutrition information available to the public, among other things, has also created a demand for more integrative focused services. 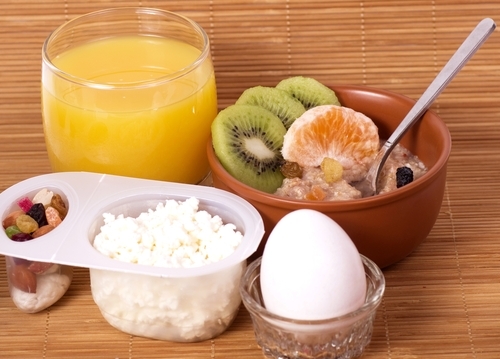 Dietitians need to be providing these services – using an evidence-based approach. If we don't do it, other nutrition professionals will, and likely not as effectively as a dietitian. This is an opportunity for us to take the lead in this area of practice! Lastly, the wide availability of nutrition information from a variety of sources creates the need (and opportunity) for more dietitians to be working in communications. We need to interpret and translate scientific evidence to target a wide variety of audiences using effective communication principles. This will clear up the confusion, ensure that the right key messages are heard, and increase the profile of our profession. The more dietitian voices out there the better – so speak up! I am newly graduated, and so, could not tell you what is the major change in the past 10 years, but could certainly tell you what I noticed/heard the most as an intern/Dietitian on a daily basis over the past 8 years. Nutrition is everywhere on social networks, and so are every kind of nutrition ‘experts’. Now we advocate more than ever about credible nutrition information. We help consumers to understand myths/fictions and give insight into new trends, such as cleanses, gluten-free diets, Paleo diets, etc. I don’t know if 10 years ago people had all this information access. While this access could be great, it could also be harmful when consumers get their information from unregulated health practitioner blogs, or non-science-based websites. The use by the public of ‘Dr Google’ for diet/nutrition information resulted in more informed public, but also more misinformation from alternative providers of nutrition information. Dietitians need to remain very up-to-date on both the scientific literature and all of the various lay sources of nutrition including the vast Internet sources. Does a Paleolithic diet improve satiety compared to other diet types? Paleo, gluten free, deto diets: Dietetic descriptors that should make you curious. Being asked about detox diets and cleanses? Is there a trend for “evidence literacy”? 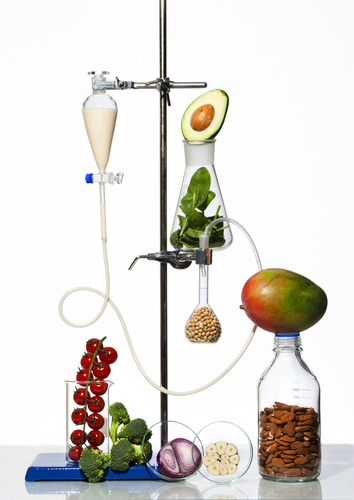 Two problems with nutrition science – but I still love it. Responding to misleading nutrition information in a lay publication via a letter to the editor, a case study. To learn more about media relations, search media relations in PEN to locate resources to help support your practice. Over the last 10 years, there has been an increasing use and complexity of electronic health record systems for nutrition care, as well as in quality improvement projects and research. (In Alberta, the electronic health record began development in 2000). As of 2010, every Canadian jurisdiction has at least one core electronic health record (EHR) system in place, and some provinces had full EHR systems in place . These systems have been developed to deliver health care in both primary care physicians’ offices and acute, and long-term care institutions. In terms of RD roles, this has allowed ease in nutrition referral, nutrition assessment, entry of nutrition orders (diet, enteral, TPN) and documentation, using the formerly called International Dietetics and Nutrition Terminology (IDNT) methodology, now called eNCP (Nutrition Care Process). With the adoption of the eNCP approach to documenting all aspects of nutrition care on medical records, DC has advocated for eNCP to be included as electronic health record systems are further developed. Dietitians of Canada. Strengthening the Canadian Health System: A Call to Action from Dietitians. 2011. www.dietitians.ca/Downloads/Public/2011-11-10-Senate-Committee-SAST-Health-Accord_fin.aspx. PEN® eNews Editor’s note: Our PEN® Toolkits include examples of PES statements under the Nutrition Diagnosis tab. Looking for more information about teledietetics? Have a look at our teledietetics practice guidance. Over the last 10 years, we have seen new opportunities and ways of practicing the art of dietetics. Dietitians are experts in the science of nutrition, teaching people what, when and how much to eat. In the last decade, dietitians have also been developing skills to address the psychology of eating. Using cognitive-behavioural techniques they help people understand ‘why’ it’s challenging to make long-term eating behaviour changes and how to address the underlying barriers. PEN® Editor’s Note: Looking for more information on counselling theories? Have a look at our Counselling Models Background. To relate this to nutrition knowledge and dietetic practice, this change in practice can be nicely demonstrated in the evolution of the ‘meal plan.’ Whether the dietitian is practicing in diabetes (using diabetic exchanges), chronic kidney disease, eating disorders, weight management, or other area, it is the new norm to focus on patient-centred care when developing meal plans. In the past meal plans were much more rigid and structured. Meal plans are now created in a more flexible way so that patients can self-select meal patterns that work best for their lifestyle. In the past 10 years, one of the greatest changes in dietetic practice is the use of social media to reach the masses. ‘Social media can be a quick, low-cost, direct way for nutrition educators to broaden the scope of their targeted programs.’ (1). Social media sites such as Facebook, Twitter, Pinterest, blogs, and the like, allow dietitians to reach a wider audience and help disseminate credible nutrition information. Dietitians who combine the use of social media with tools such as PEN help to strengthen the credibility of our profession, and show social media communities that dietitians are nutrition experts and leaders in nutrition education. Great job PEN, your work is invaluable!! Social Media and Nutrition Education: The Food Hero Experience’ Lauren N. Tobey, MS, RD; Melinda M. Manore, PhD, RD. J Nutr Educ Behav. 2014;46:128-133. PEN® eNews Editor’s Note: We were very flattered to receive this voluntary shout-outs from Katie. We are here to support dietetic practice and are thrilled to have the opportunity to work alongside passionate and hard-working dietitians around the world. Social media is an area that continues to grow and is another communication vehicle for dietitians to retain their authority as food and nutrition experts. Did you know, we have Facebook Twitter and LinkedIn accounts? Connect with us via social media. Incorporate evidence-based information into your own networks! We have almost 40 tools and resources on social media to support your dietetic practice. The emergence of Primary Health Care/teams as an important component of managing chronic disease, including dietitians’ key role on these teams (1). As 20-25% of all visits to family physicians’ offices are related to nutrition, there is increasing recognition of the need for access to dietitians (2). More effective, coordinated access to dietitians remains a concern, especially in urban areas (3). Moving Forward. The Role of the Registered Dietitian in Primary Health Care, A National Perspective, Dietitians of Canada, 2009. Dietitians in primary health care: better health, better care, better value. Available from: http://www.dietitians.ca/Downloads/Public/Dietitians-Promote-Health-Primary-Health-Care-pdf.aspx. Wynn, K et al. Nutrition in Primary Care. Canadian Family Physician March 2010 vol. 56 no. 3 e109-e116. To me, the major aspect of nutrition that is noteworthy is the proliferation of the foodie culture. It speaks to what the population gravitate towards, which is tasty and exciting food. Even though there has been a simultaneous growth of health-consciousness, what people feel positive about are not the low-fat, gluten-free, or any other healthy trends. In my eyes, what I see lasting is the ongoing promotion of tasty food, whether it be the shopping of, preparation of, or consumption of tasty food. People “want” to learn about and eat tasty food, and that will always triumph over health messaging. What I think the implication to our field is that we as dietitians need to put tasty first, no matter what we do and how we do it. We need to present our messages, guidance, and our “brand” as tasty! We know that healthy, fresh, and sustainable foods “are” tasty, but I think we need to market ourselves and our messages in a more palatable way. I believe that is why celebrity chefs are more popular and have a bigger following than we do. They emphasize the sweet, the savoury, and above all, the enjoyment of food. I would like nutrition to be associated with happiness, as opposed to guilt, fat, and dieting. I would like dietitians to take on the promotion of themselves and the field of nutrition in a positive, “tasty” way. How do we attach positivity and professionalism to our jobs? We need to create a larger following if we are to survive and thrive! I challenge fellow dietitians to take this on over the next decade. PEN® Editor’s Note: While we have seen the growth of foodie culture, we have also seen the emergence of the concept of food literacy. Understanding the complexity of food literacy - is it all about our connection with food? The concepts of health literacy and food literacy have been explored and defined in relation to registered dietitian’s practice and framework for action (1, 2). Additionally, a number of strategies for improving consumer food literacy have been suggested (3). These principles are likely familiar to most practicing dietitians. Over the past decade, research in the areas of health and food literacy has expanded, while, in my experience, consumers have become less connected with their food, and as a result, their nutrition. This lack of connection appears to be unrelated to income, education and age - it seems to be related to a perception of time, a drive for convenience, and a lack of knowledge, skills and confidence, regarding food selection and preparation. 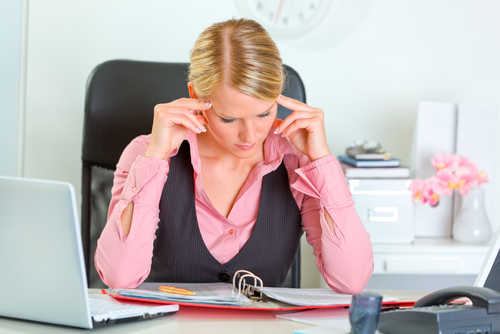 For dietitians, this creates new challenges related to client education. I find that I need to spend more time asking questions related to people's schedules, cooking competency, time spent grocery shopping, and perceptions around healthy food choices. While many consumers have the capacity to grocery shop, read labels and prepare whole foods, they appear to lack the ability to translate these skills into healthy meal planning and preparation. In my practice, I have seen that the use of technology has increased the consumer’s ability to look for and interpret health-related information, while the ability to manage their concerns, through the purchasing and preparing whole foods, has declined. I have well-educated, financially secure clients who have no idea how to cut and prepare cauliflower; who do not know what a mango is, or who have no idea how to cook chicken, if it does not come pre-breaded, in a box, with detailed cooking instructions. This dramatic increase in access to health-related information, and concurrent disconnect from food and food preparation is one of the most significant and challenging changes that I have noticed, over the past decade. As dietitians, we need to be equipped and prepared to encourage and coach clients back into the kitchen and to reconnect food with nutrition. Does involvement in food preparation and cooking improve dietary quality? 10 years ago, the Canadian Journal of Dietetic Practice & Research published an article examining dietetics trainees’ preparedness for practice as perceived by trainees and program coordinators (1). This Canada-wide survey included 36 programs that evaluated preparedness against the 45 competencies and 100 sub competencies for entry-level dietetic practice in existence at that time (2). No mention of evidence or evidence-based practice occurs in any of the competencies or in the article. In contrast, the current integrated competencies for dietetic education and practice cite evidence and evidence-informed practice in several areas (3). Searching ‘evidence’ in the DC member database produces 71 pages of hits. We have achieved huge strides in defining and describing the importance of evidence-based dietetic practice. We have also spent much time in the past 10 years learning how to ask the right question, and acquire and appraise evidence. One of our current challenges is how to apply the evidence within our practice setting and considering a specific client’s values and preferences. In the next decade, I believe we will need to have a much greater focus on fine-tuning the art of translating evidence into practice. PEN® Editor’s Note: Evidence-based dietetics practice is the core of what Practice-based Evidence in Nutrition is all about. Have a review of this presentation to develop a “taste for best evidence. My PEN® highlight is the success I have experienced integrating the use of PEN® as a requirement in all assignments in all of the courses that I teach (these are Nutrition Assessment; Introduction to Communications; Introduction to Research in Nutrition and Health; Senior Seminar; Nutrition and Aging; Affecting Change in Nutrition and Dietetics). Assignments build upon each other and contribute toward completing the term project in each of these courses. At least three peer-reviewed articles. I have made PEN® a required resource for the simple reason that this requires students to log into PEN® and to ‘have a look around’. This is how they learn to use search features, and to find Knowledge Paths or Practice Points related to their topic. My intention is that by having referred to PEN® multiple times throughout their years at university, student use of PEN will become routine by the time they graduate, and that they will continue to use it during their internships or graduate training, and in their workplaces. This is indeed what I observe happening with the students at Acadia University and the dietetic interns in the Acadia University Internship – they become savvy PEN® users! Students report that they appreciate having synopses of topics available on PEN®, and that this helps them get ‘up to speed’ on their topic. They also learn about what sorts of journals are available related to their topics, what key reference documents are used in the nutrition care planning for a given condition or set of circumstances, and what the current thinking is about questions/issues related to their topics. Finally, they appreciate that the PEN® content was written by practicing dietitians, and dietetics students/interns (it reflects the ‘real world’), and that content is rigorously reviewed for accuracy and relevance. PEN® eNews Editor’s Note: We are passionate about supporting students in developing skills to practice evidence-based dietetics. Working with nutrition students? Have a look at our PEN Student Assignment Guide to see how we can help you! What will the next 10 years look like? Will we be eating bugs for breakfast? What kind of pseudoscience will we be tackling? What dietetic descriptors will be used? What findings will surprise us? Perhaps the best way to sum up the last 10 years is with this submission, received first out of 30 submissions. Author’s Note: Immersed with consumers at street level so-to-speak, I share through that lens. It’s tough to pick just one area of food knowledge that has evolved over the past decade. It could be the low carb tsunami that forever changed conversations about carbohydrates and improved awareness of whole grains and protein. Steadily drizzling glycemic index and gluten-free rain saturated this. Social media shook like an earthquake, drastically changing the landscape of how and from whom consumers access information. Like every decade before, consumers have also been in an avalanche of fad diets and new food products designed to return them to their paleo roots, increase gut bacteria and shrink their wheat bellies. Steady winds blew in trendy foods annually. Cauliflower or hemp anyone? Food religion, an almost judgmental approach to being organic, vegan or raw struck consumers like a high UV index whether they’re interested in converting or not. As the weather systems roll in and out, a few truths remain. People eat. People age. People get stuck in ruts. They want improved health, weight loss, more energy and fresh new meal ideas. The brain likes novelty and is attracted to the latest food news. Those who weather the storm apply what dietitians have always promoted: eating well at least 80% of the time, buying groceries every week, cooking at home, staying active, getting a good night’s sleep, managing stress and trying new things every so often to prevent getting bored. They stay firm on the well-being path and take shelter when the latest nutrition tornado begins swirling. Congratulations PEN® team on your 10 year anniversary!